Description - Tired of walking over that cold tile or wood? Then buy Mohawk's Charming Details carpet. 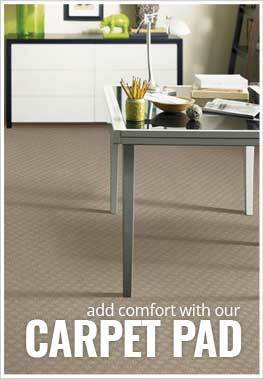 This carpet will add comfort and warmth to any room installed and is great as flooring in apartments and condos. Resistant to soiling, staining, pet urine and anti-static, makes this carpet perfect for both residential and commercial applications. Easy to clean and maintain, this broadloom carpet is backed by a lifetime warranty ensuring you new floor will look great for many years to come. Face Weight - 41 oz./sq.yd. Recommended Uses - Mohawk Charming Details carpet is great for any room in your home or business and is commonly used as flooring in bedrooms, family rooms, as dining room flooring, in basements, as home office flooring, in churches, as flooring in offices and much more. Anti-static and CRI Green Lable Plus certified. Adds warmth and comfort to any room.